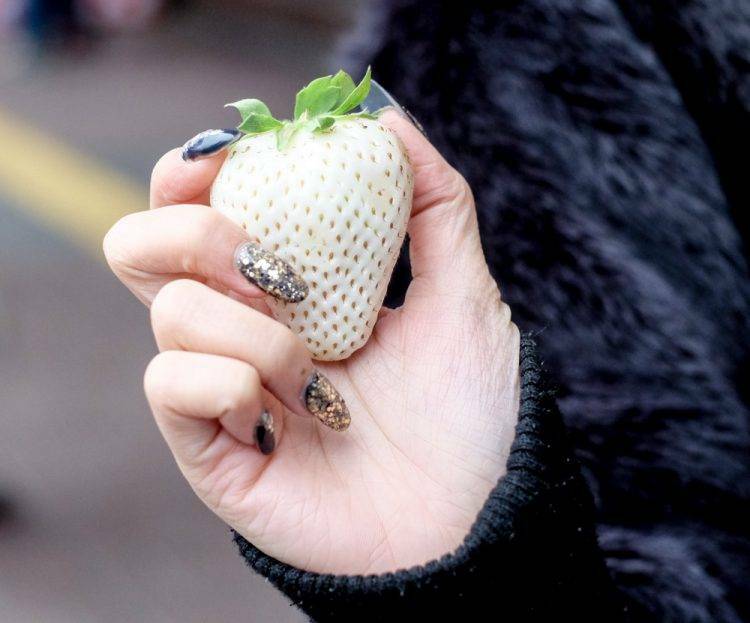 Most people have never even seen, let alone tasted, white strawberries, but they’ve been a staple of the Japanese luxury fruit market for years. 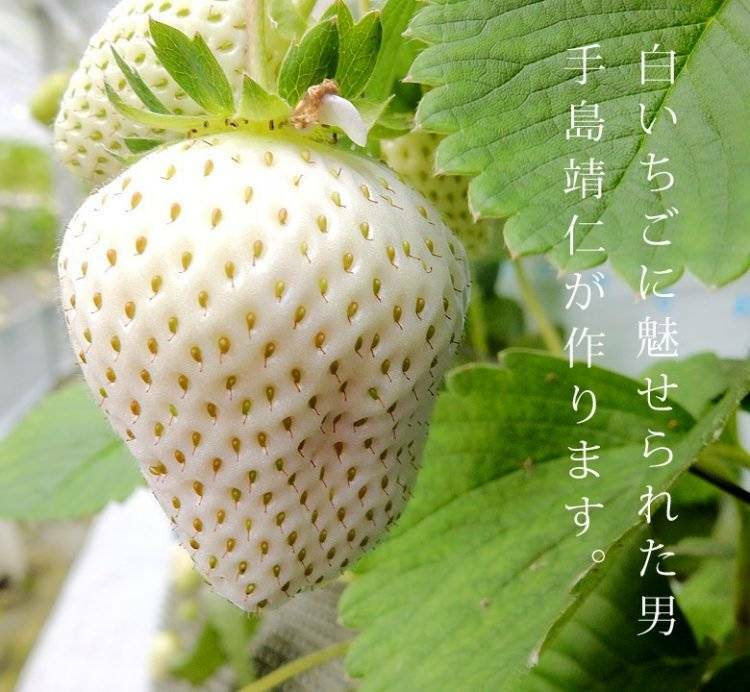 The Asian country actually has several varieties of white strawberries, among which the White Jewel, or Shiroi Houseki stands out as the rarest and most expensive. 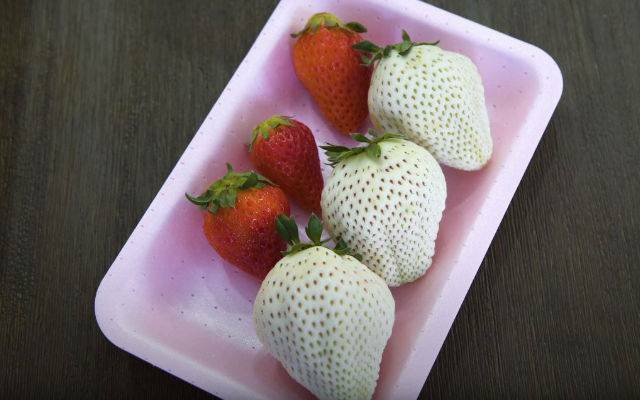 White Jewel strawberries were created four years ago, by Yasuhito Teshima, and his farm in Japan’s Saga Prefecture remains the only one in the world that produces this unique fruit. 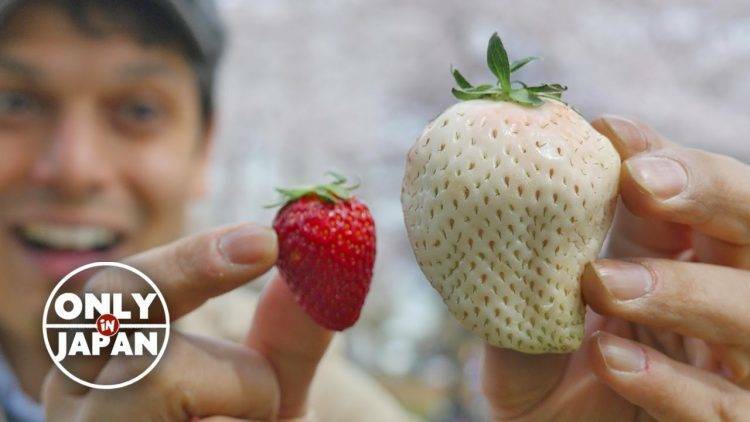 Teshima-san claims he spent years cross-breeding different types of strawberries and perfecting his growing technique in order to come up with a large strawberry that was white both on the inside and the outside. One of the secrets to growing White Jewel strawberries is reduced exposure to sunlight, which reduces the level of anthocyanin, the natural chemical that gives fruits and vegetables their color. But Yasuhito Teshima says that even after years of trial and error, his technique is far from perfect. Only 10 percent of his strawberries turn out white, and only a few of these are perfectly pale, with the rest featuring red patches, or sporting a milky ping hue. Once fully developed, White Jewel strawberries will not turn red, even if exposed to direct sunlight. Teshima acknowledges that his White Jewels have to compete against other types of white strawberries developed in Japan, but claims that his are considerably larger and whiter than any of the other breeds. As you can imagine, a novelty fruit that is ultra rare and extremely difficult to produce can fetch a very high price, and the White Jewel strawberry is a perfect example. They are sold individually for $10, or in very small packs for $40. I don’t care where you live, that’s super expensive for a strawberry. “The flavor is something deep, something that doesn’t have a huge impact, but it does give you a slightly mysterious feeling and finally, you understand it, and it is really, really tasty,” Teshima told Great Big Story. Daub adds that in Japanese culture, rare and expensive fruit, like the White Jewels are bought as special gifts, rather than just as a sweet snack.